There are flashbacks and then more flashbacks, and more, that pretty much tell the same thing about Borg, about his personality, and how he shaped into a cool-headed, disciplined baseline player. And there’s a little bit of background on John McEnroe the serve and volley player, and not enough of it is suffice to explain his hot temper. You realize the movie is uneven, that more time is spent on Borg than McEnroe. The crowds hated the brash and foul-mouthed McEnroe in the five rounds before getting to the Finals, which would be billed as Ice Man versus Super Brat. McEnroe gets some advice before the Finals about why he should cool it (One should want to be remembered for being a good role model, right?). The Finals match at the Centre Court of the All England Lawn Tennis and Croquet Club is a well-behaved gentleman’s game, with plenty of well-choreographed tennis play and technique. Some of it gets a little bit too fancy, with unnecessary slow-motion shots and close-ups, and when it does that, the movie falls into sluggishness. 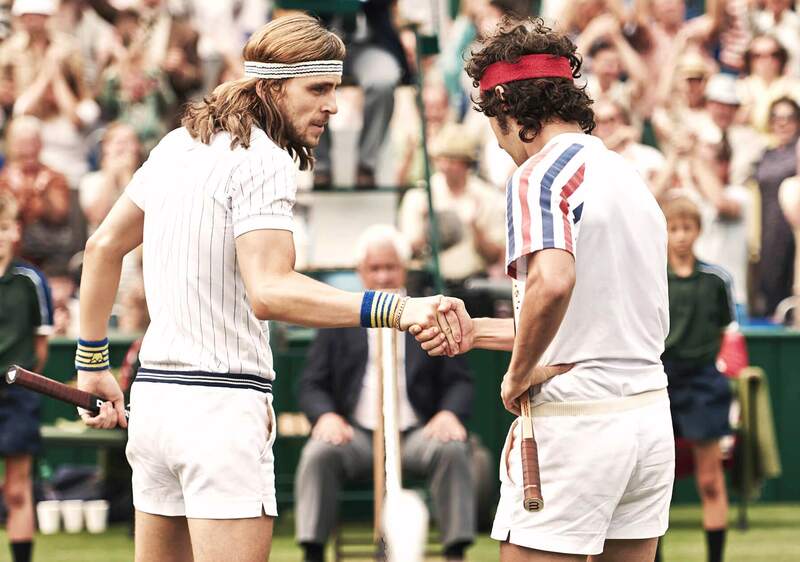 As a tennis fan, it still is pretty nice seeing one of Wimbledon’s most famous matches dramatized. 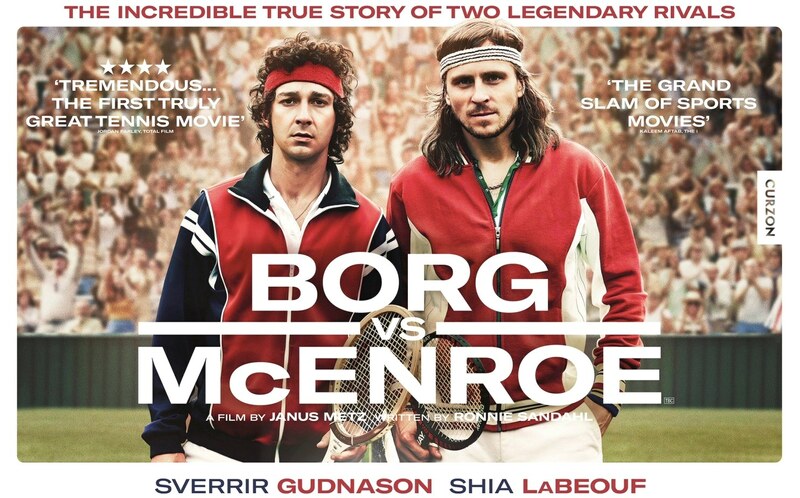 Yet there’s an over-seriousness, a self-tormented weightiness, to both Borg and McEnroe the entire time that’s laid on too thick and too unnatural. As a result, it makes the film a drowsy one to watch too much of the time. I won’t spoil the winner of the match for you if you’re not knowing, but I will say nobody got booed at. Film Cousins: “Personal Best” (1982); “When Billie Beat Bobby” (2001); “Wimbledon” (2004); “Battle of the Sexes” (2017).